But as any good investor knows, you can’t argue with fear & greed. You have to trick them, beat them, eliminate them…and focus instead on a rational & unemotional investment/stock selection process. And so, in that spirit, I abandoned my original post for a more pragmatic approach. I bow to all the writers, journalists & bloggers out there who can offer far better primers than I ever could, and who’ll tease out all the pros/cons/arguments/risks you could ever want. But if you’re still reading here, can I presume you (tentatively) agree cryptocurrencies are actually money (or an asset class), and blockchain is potentially a hugely disruptive/even foundational technology? But I will presume you’ve been generally disappointed with the recent barrage of ‘How to invest in Bitcoin/ICOs/Blockchain!! !’ articles/posts – just like me (frankly, I expected more from this recent Barron’s effort). Mining: Just don’t… Or else: i) Move to China (cheap electricity), or Iceland (which has the added bonus of a cold climate), ii) hire a team of scary young Eastern European hackers, iii) buy a couple of acres of ASICs (or GPUs for Ether/other cryptocurrencies), iv) pool with your rivals to smooth out coin earnings (today, just six Chinese pools dominate global Bitcoin mining). This really is a big boy business now. And be wary of cloud mining – of course, there are legitimate hosts out there, but many have precious little incentive to share/rent out/finance their mining resources, so what’s on offer could be a scam. Alternatively, you could mine new cryptos on a smaller scale…except if you’re successful, and/or the coins rapidly increase in value, larger miners will inevitably swoop in. Buy & Hold: What…Bitcoin?! After it’s rallied 300% YTD, nearly 1,000% over 3 years, and an astounding 33,000% in the last 5 years? That’s pretty brave…I still can’t figure out what gold’s worth!? [And Bitcoin’s conceivable value range is many multiples of gold’s range]. But going short Bitcoin is braver still: Ask yourself, how many shorted that insane trajectory…and why, finally, is this now the right time to short? Then there’s Ether: Up 3,400% YTD!? Maybe you can just trade/arbitrage them – yeah but, that’s a whole new career! Not to mention, where do you store your keys/cryptocurrencies? Hackers can’t hack the blockchain, but who cares when they’re so good at hacking websites, computers & the inevitable weakest link (i.e. humans). Initial Coin Offerings: What about the hundreds of other cryptocurrencies, with new ones arriving every other day…knock yourself out with this list!? Sure, many of the opening day ICO premiums & subsequent price rallies we’re seeing are truly astonishing. And while Ether’s a key driver, other supply/demand factors have played an equally important role in delivering these ICO gains (reminiscent of the original dot-com bubble). [Not to mention the longer-term commercial/investment potential of some of the underlying projects & technologies]. But who’s got the connections & the speed/resources to even access these ICOs? Or distinguish the wheat from the chaff…or should I say, from the ridiculous, the hopeless, the worthless, the fraudulent?! And what are you buying exactly? [And if you’re American, for example, what does the SEC think you’re buying?!] Good luck with all that – again, it’s a whole new & different career. When the ducks are quacking…feed them! At the larger end, it’s (mostly) reputable companies who’ve now started to dabble & invest in cryptocurrencies & blockchain, but it isn’t their main corporate focus (yet) & their investment/exposure is still relatively small vs. their overall balance sheet (and P&L). However, stories can change rapidly – and looking at their charts, it’s obvious many have enjoyed crypto-related booms (& some busts) this year, despite the diluted exposure they offer. Again, it’s debatable how you might play these: Maybe you buy them simply because a lazy & uninformed mainstream media will probably keep recommending the likes of Overstock.com, AMD & NVIDIA as Bitcoin/blockchain plays, or sell them ‘cos there’s far too much of a valuation premium built in already (NVIDIA, for example, is also enjoying an AI-related tailwind – it now sports a 52 P/E)? OK, time for the real deal now – here’s all the companies I’ve identified where cryptocurrencies & blockchain are (now) their primary business/investment focus, and/or they comprise a substantial component (say, 25-33%+) of their balance sheets (or P&Ls). Again, the same HEALTH WARNING!!! All share prices & market caps are CoB Sep-20th. Price/Book ratios based on last reported equity, subsequent fund-raisings, plus some (occasional) realised equity investment gains…I do NOT attempt to track & incorporate realised/unrealised crypto gains here, so multiples may be over-stated. I include an Expense Ratio if it’s (somewhat) reasonable, otherwise I highlight the estimated months Cash Burn the company can currently fund, or an actual Return on Equity in one rare & profitable instance. Comment(s): Early-stage & pre-IPO disruptive technology investment company. Has steadily reduced its stake in BTL Group (see below) to 3.3%. Comment(s): Early-stage blockchain technology investment company & accelerator. Recently signed co-investment MoU with ICO hedge fund HyperChain Capital, and successfully exited its stake in SatoshiPay. Comment(s): ICO & blockchain technology investment company. Comment(s): Acquired 10% of Blockchain Technologies (Nick Spanos, CEO – see the ‘Banking on Bitcoin’ documentary) in 2015. Comment(s): Media & gaming technology investment company. Recently raised its stake in SatoshiPay to 31% (see Coinsilium Group above). Comment(s): Bitcoin/ICO investment & Bitcoin mining company. Letter of intent for Blockchain Global (Australian Bitcoin miner & blockchain consultant/incubator) to reverse into BTCS. Comment(s): Blockchain-enhanced mobile remittance app (AirPocket) & blockchain/ICO consulting company. Blockchain Global (see also BTCS above) now a 40% cornerstone shareholder. Comment(s): $760 million AUM investment manager with a primary focus on gold & natural resources. Now has a 4.4% direct & 3.1% indirect stake in HIVE Blockchain Technologies (see below), and plans for its 65%-owned sub. Galileo to potentially offer cryptocurrency funds (see here & here). Comment(s): Private blockchain enterprise platform (Interbit) provider – working with companies like BP/Visa/Eni/etc. Vela Technologies (see above) is now a 3.3% shareholder. Comment(s): Passive Bitcoin investment, via an exchange-traded note. Sister ETN to larger Bitcoin Tracker One – SEK (see below). Comment(s): Bitcoin mining company. Also potentially developing privacy/cyber-security products. Headed up by the mad bad John McAfee (name change to John McAfee Global Technologies in the works). Comment(s): Passive Bitcoin investment, via an exchange-traded note. Sister ETN to smaller Bitcoin Tracker EUR (see above). Comment(s): Blockchain technology development company. Chinese company & website – per latest SEC filing, zero revenue/investments/cash. Comment(s): Blockchain technology investment company. Currently owns Germany’s only regulated Bitcoin exchange (www.bitcoin.de), with Ether trading also planned before year-end. Comment(s): New cryptocurrency mining & investment company (via Leeta Gold, see here & here). Has acquired Iceland cryptocurrency mining facility (with an option for 4 more data centres) from Genesis Mining, a world-leading cryptocurrency mining service provider & now a 30% shareholder in HIVE. Comment(s): Passive Bitcoin investment, via an open-ended grantor trust. Managed by Barry Silbert of Grayscale Investments (a sub. of his Digital Currency Group). The sector’s up an average 371% YTD, but with the highest gains mostly accruing to the larger (& generally Bitcoin-focused) companies, the market cap weighted gain is 590% YTD. While the sector’s clearly outperformed Bitcoin this year, it’s more notable that it’s actually fallen well short of the YTD growth in the underlying cryptocurrency market, and a mere fraction of Ether’s YTD gain. You may think we’re just a few innings in here, and both the cryptocurrency market & the listed crypto/blockchain sector are still headed for the moon. You may believe cryptos will slowly fade away & die, whereas blockchain is genuinely a foundational technology that will actually change the world. 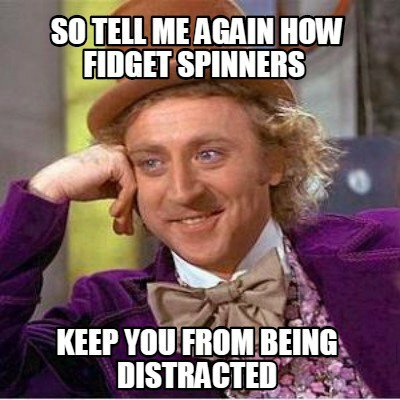 Or you still think they’re simply ridiculous Millennial play-things, soon to be forgotten just like this year’s spinners. But as I highlighted above, I suspect valuation may not be the best filter/catalyst here – the opportunity may be so big, the most expensive companies may just win out in the end, the clowns could fall into a gold mine, and maybe even the crooks are actually tempted to go straight! On the other hand, if cryptocurrency prices peter out & collapse, investors could simply decide they hate the entire sector…and may just as easily drag down blockchain companies/valuations along with the rest. And being right isn’t enough either – because if you’re too early, it’s just another way of saying you’re dead wrong (esp. if you’re short). And in the end, my view’s unimportant…even if I presented a really compelling argument. Because regardless of direction, the sector promises one hell of a bumpy ride ahead – nobody will dispute that! So it’s critical to arrive at a strong view of your own – long, or short – one that you’ll actually have the guts to live with day & night, through the inevitable reversals. And if you refuse to do that, I’m afraid it’s no excuse to feel comfortable: How else can you hope to identify potential future risks (or even opportunities) lurking elsewhere in your portfolio – or even, ultimately, your career? As all too many investors discovered to their bitter cost, after ignoring/sneering at Amazon.com (& other successful online retailers & businesses) for so many years. So I’m no oracle here. Apologies if I don’t offer up some simple answers, but what I am offering is the entire listed cryptocurrency & blockchain universe for you to explore & consider further. That’s certainly a great start in what’s still virgin territory for most investors…and maybe, just maybe, you’ll surprise yourself & actually discover a few decent longs, shorts, or trading sardines?! Cryptocurrencies & blockchain? You sound like a banker or one of those office types now :p.
There is no separation between blockchain and Bitcoin, its just Bitcoin. Bitcoin and Blockchain are one. If you don`t understand this or know why this is then you certainly shouldn`t be peddling investment advice about them. And yet…..I’m perfectly happy focusing on investing in the blockchain, NOT Bitcoin. Thank you for a helpful post. Why did Stahl’s FRMO end up in the also-rans list? Hopes to raise fresh cryptocurrency/mining AUM & make related investments. Hopes to raise cryptocurrency AUM. Clearly both companies are keen on their future potential in the space (& Stahl’s letter was obviously worth linking)…but as things stand, $FRMO doesn’t provide meaningful exposure, whereas $GROW does via its stake in HIVE:CN. That’s not to say this won’t change in the future – quite possibly, rapidly! Nor should you under-estimate the average punter’s potential willingness to buy what I term also-rans, simply because they boast a (relatively immaterial) cryptocurrency/blockchain connection at this point – check the charts, you’ll see that’s already happened with many of them. Wexboy, I bought some Applegreen having read your write-up, so very pleased with performance.Thank you.I wonder about taking a tiny punt in Blockchain stocks.If you were going to invest a couple of per cent of your portfolio which one’s would you choose for greatest potential profit? Do you think you’ll dip your toe in the water? I realise they could fall to zero, no matter.I made a million quid in internet boom,(about 4 months).After paying tax, I gave most of it back to the market, but my God what a ride – coming downstairs in the morning, flicking on top risers on Market Eye, and thinking I’d pocketed another £10K.My best one was EVestment warrants which went from 1.5p to 80p. I knew I’d never see anything like it in my lifetime, and of course I’ve missed bitcoin.I’ve only just noticed it, since IG made a market. At present you might as well pin the tail on the back of the donkey, and with government interference at any time, I’m giving it a miss. As I said, I don’t think valuation is a good indicator here – obviously, you still need to be sensible, but valuation is unlikely to reliably identify the long-term winners at this point. Same is probably true of management – most will cheerfully tell you they started reading up on Bitcoin/blockchain, fell down the rabbit-hole, and actually quit their regular careers for the crypto/blockchain space. So many of them probably aren’t your typical sales/financial guys who climbed the greasy corporate ladder for many years, nor do they necessarily have a previous/long-term track record you can actually evaluate. [But in due course, you’ll see the old/safe pairs of hands & the MBAs turn up in the space]. However, it DOES make sense to (now) start evaluating them on their crypto/blockchain career – no matter how short that may be – and it’s particularly important to focus on what they actually do/achieve, not just what they say! So ultimately, I believe you really do need to have a (strong) view. And if that view’s negative, is it because you believe Bitcoin/blockchain will ultimately fail/disappear, or because you think valuations are ridiculously high? In either case, short opportunities may be worth seriously considering. But if it’s the former, you need to worry even more about being wrong – because if crypto/blockchain succeeds, you also have to consider how that might potentially affect the rest of your portfolio (or even career). But if you’re generally positive on the space, I still don’t think there’s an easy recommendation – just as I wouldn’t recommend investing in just a single cryptocurrency (even Bitcoin, or Ether), I probably wouldn’t pick a single company either. Instead, I’d recommend putting together a small selection of companies that cover/overlap the entire space (mining, trading, cryptocurrency investment, ICOs, blockchain, etc.) (soon enough, I’m sure there’ll be broadly diversified funds/ETFs you can buy to achieve this far more easily). However, if you actually have a strong & quite specific view (for example, you believe in the blockchain, but not Bitcoin), you may want to focus instead on investing in a sub-set of companies – or even a single company – that best reflects/exploits that view. At the end of the day, there’s no right answer for everyone – but investing according to your own personal view is the best way to ensure you can hold onto what are bound to be volatile investments. btw I resisted discussing government interference/regulation in my post, because it’s just another endless rabbit-hole…but let me just say: i) Investors are silly if they don’t anticipate/price in the threat of arbitrary & draconian regulation – specifically from the two usual culprits, China & the US (Jamie Dimon wasn’t wrong on that) – so recent headlines should be no surprise, and ii) I suspect it may not matter in the end – more regulation could certainly hurt/blacklist the sector for some percentage of existing crypto-enthusiasts, but may also endorse the space for a much much larger population to finally consider it as an alternative/investment. And here’s my other reply, Chris…Kryptonite 1 plc! The idea of using 2of2 multisig is original but the end result is likely to be the worst of both worlds: you get the disadvantages of old school brokers/exchanges (full ID required, trust in centralised platform) and regular client-side bitcoin (you’re screwed if you lose your secret, you need to trust the wallet software provider). Thanks mmi – and just after I published, I actually noticed/caught up with your Bitcoin post – thanks for the link since! Hi Wexboy, are you invested in any of the above? Now there’s the gold…unless you see an investment write-up in due course, you’ll probably have to hack my blockchain to find out!